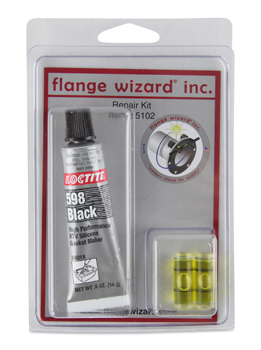 This handy repair kit will make your Flange Wizard® hand tools like new again. Repair kit makes for easy repairs to your tools without delay. You receive a tube of sealant and two (2) replacement vials. Remove the damaged or broken vial. Do this by cutting around the sealant plug and removing all the materials from the machined hole or slot. Place a small amount of sealant in the bottom of the hole or slot and install new vial. Fill remainders of the hole with sealant and wipe away the excess. 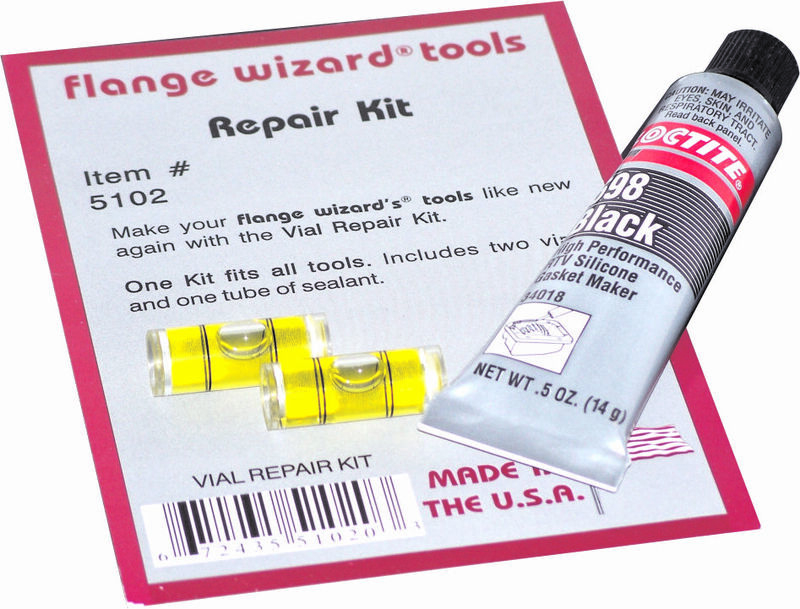 Let sealant set up over night and your tool is ready to use again!